The country is bordered by Thailand to its west and northwest, Laos to its northeast, and Vietnam to its east and in the south it faces the Gulf of Thailand. 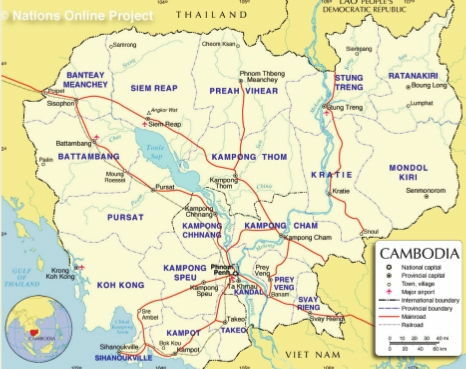 The geography of Cambodia is dominated by the Mekong river (colloquial Khmer: Tonle Thom or “the great river”) and the Tonle Sap (the fresh water lake”), an important source of fish. 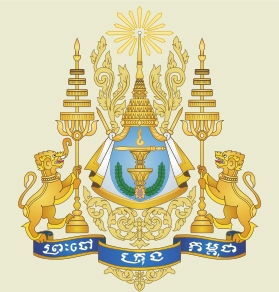 Kroup Kraung dèn Khmer bor ann thkoeung thkann. To the glory of holy Buddhist faith. Rice, fish, timber, garments and rubber are Cambodia's major exports. The International Rice Research Institute (IRRI) reintroduced more than 750 traditional rice varieties to Cambodia. The tourism industry is the country's second-greatest source of hard currency after the textile industry. 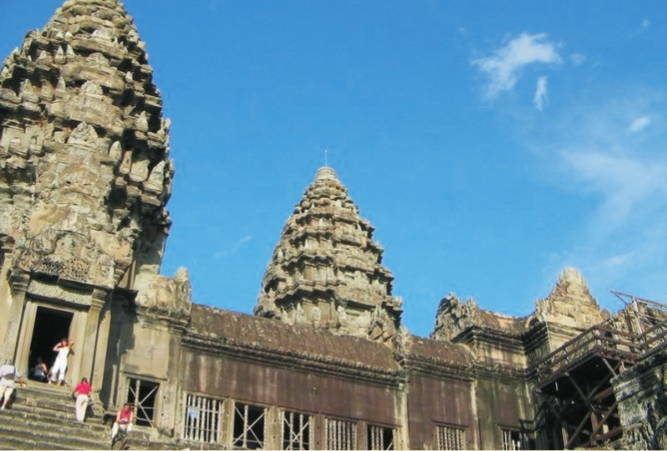 50% of visitors arrivals are to Angkor, and most of the remainder to Phnom Penh. Other tourist destinations include Sihanoukville in the southeast which has several popular beaches, and the nearby area around Kampot including the Bokor Hill Station. 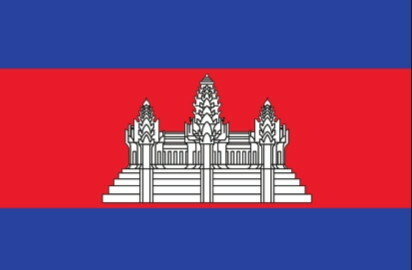 Cambodia's main industries are garments, tourism, and construction. 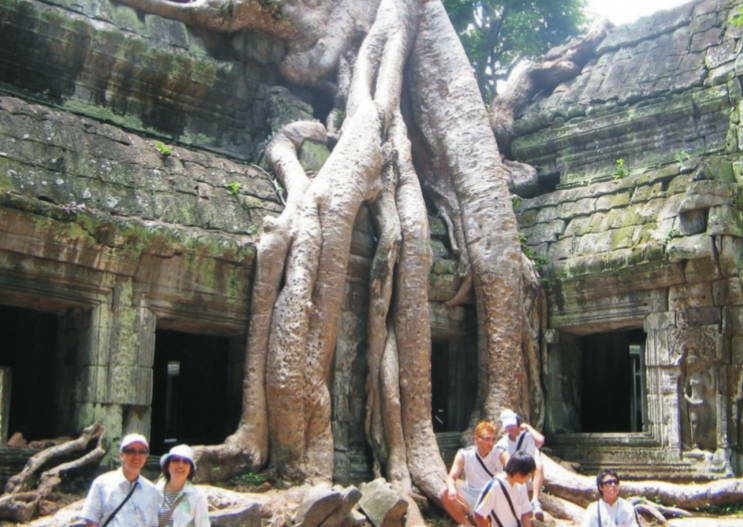 In 2007, foreign visitors to Angkor Wat alone almost hit the 4 million mark. 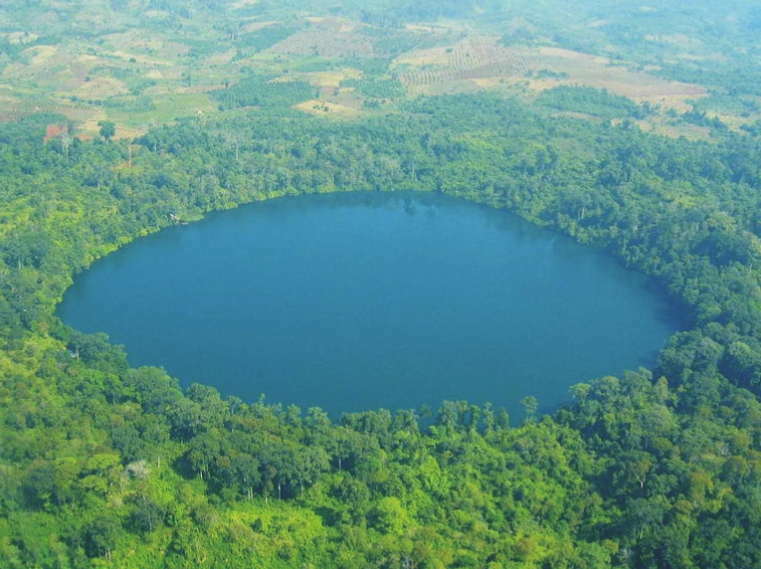 In 2005, oil and natural gas deposits were found beneath Cambodia's territorial water. 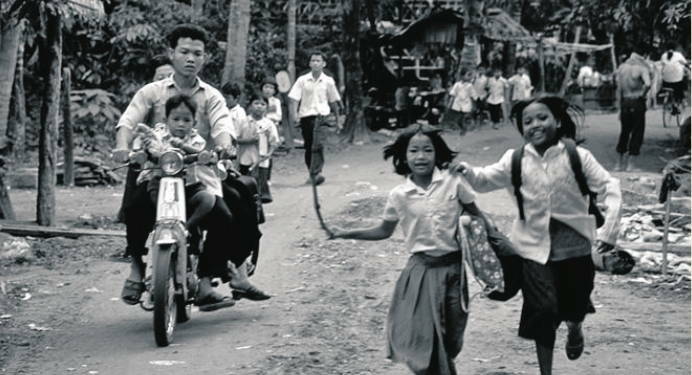 Cambodia gained independence from France on November 9, 1954. It became a constitutional monarchy under King Norodom Sihanouk. The most distinctive geographical feature is the Tonle Sap (Great Lake), measuring about 2,590 square kilometers. Most Cambodians live at the rivers fertile planes. Cambodia's temperatures range from 10 to 38oC & experiences tropical monsoons. 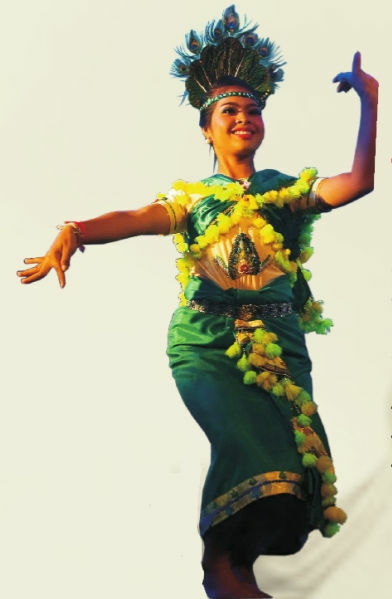 More than 90% of its population is of Khmer origin and speaks the Khmer language, the country's official language. Dominant religion, is Theravada Buddhism (95%). 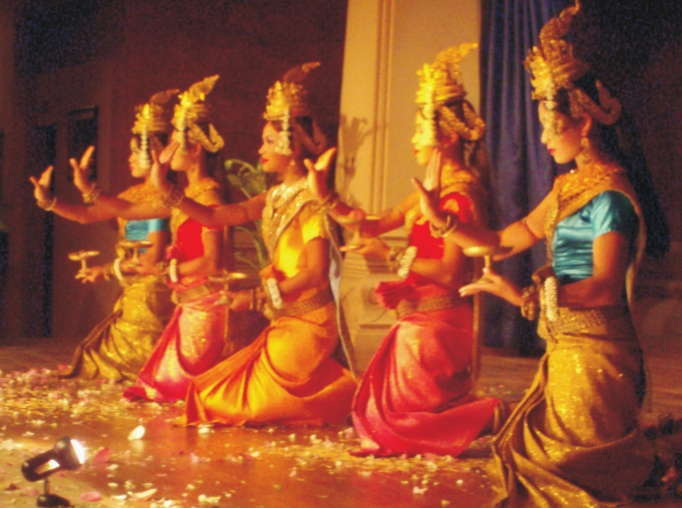 Khmer culture, as developed and spread by the Khmer empire, has distinctive styles of dance, architecture and sculpture, which has strongly influenced neighbouring Laos and Thailand. Angkor Wat (Angkor means “city” and Wat “Temple”) is the best preserved example of Khmer achitecture from the Angkorian era and hundreds of other temples have been discovered in and around the region. Bonn Om Teuk (Festival of Boat Racing), the annual boat rowing contest, is the most attended Cambodian national festival. 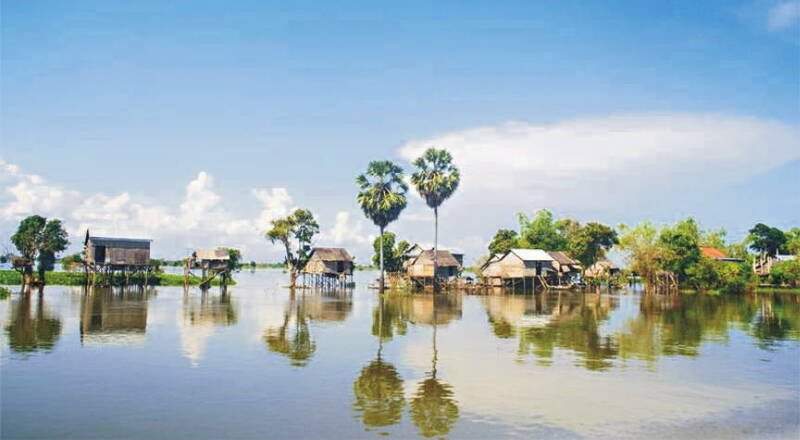 Held at the end of the rainy season when the Mekong river begins to sink back to its normal levels allowing the Tonle Sap River to reverse flow. Approximately 10% of Cambodia's population attends this event each year to play games, give thanks to the moon, watch fireworks, and attend the boat race in a carnival- type atmosphere. 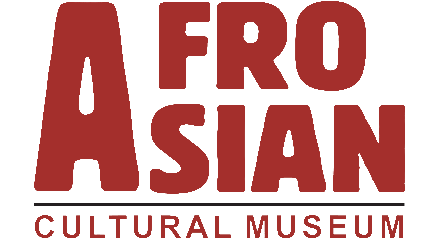 Rice, as in other Southeast Asian countries, is the staple grain, while fish from the Mekong and Tonle Sap also form an important part of the diet. Soccer is one of the more popular sports, Martial arts is practiced in Cambodia, as well as the native art of Pradal Serey and Khmer Traditional Wrestling. Angkor was an early Khmer civilization that flourished in northwestern Cambodia from the early 800's to the 1400's. The most famous capital of this civilization also was called Angkor. Angkor means city, or capital. 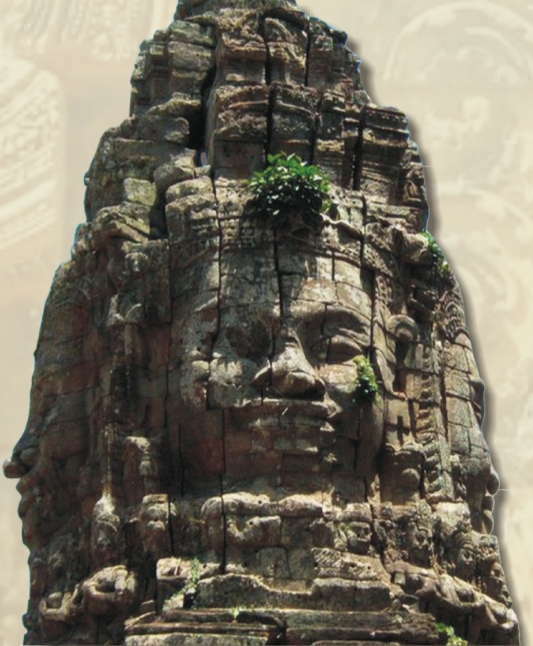 The Khmer built a huge imperial capital at Angkor. It may have had a million people, more than any European city at that time. Angkor included Angkor Thom, a “city within a city” that covered 10 square kilometers. Angkor Wat, a grand Hindu temple; and many other temples and palaces. Angkor Thom's central temple, the Bayon, an impressive structure with more than 200 giant stone faces adorning its towers, was erected in honor of Buddha and the reigning king. However, Angkor Wat was the most magnificent temple in Angkor. Built in the early 100's and dedicated to the Hindu god Vishnu, Angkor Wat was used as an astronomical observatory, as well as for religious purposes. It later became the tomb of the Cambodian king who had ordered its construction. The vast scale of Angkor Wat reflects the enormous wealth of the Khmer empire. The monument covers nearly 1 square mile (2.6 spare kilometers) and is surrounded by a moat. Angkor Wat consists of a group of temples constructed in a pyramidal form that imitates the mythological home of the Hindu gods. A series of staircases and terraces lead to the highest tower. The galleries that surround the central pyramid are decorated with carved scenes of Khmer history, as well as images from Hindu mythology. Angkor remained abandoned for more than 400 years. 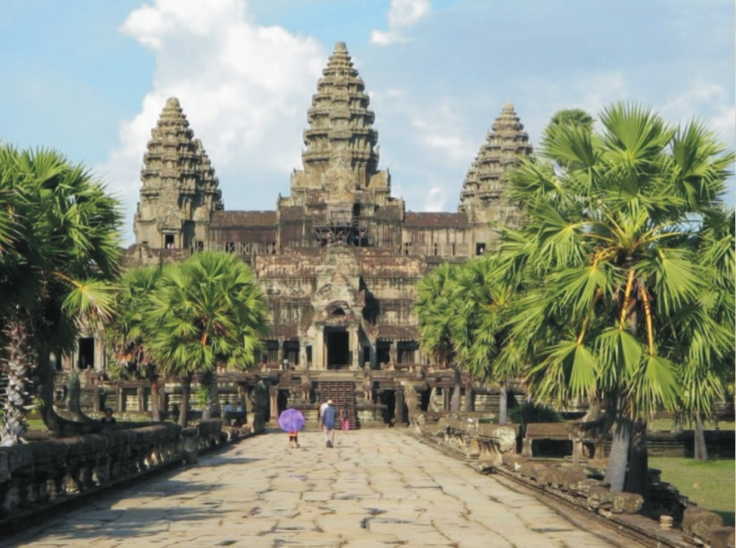 However, interest in Cambodia's “lost city” was stirred by accounts of European explorers The temples of Angkor probably represent the finest architectural monuments in Cambodia.